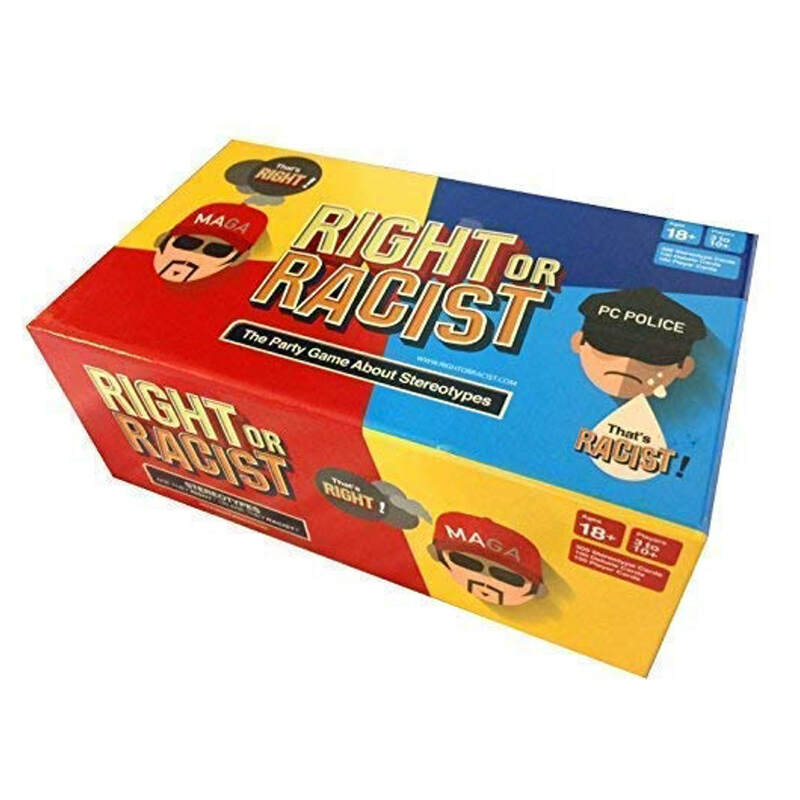 Right Or Racist is the perfect adult party card game for your game night. In today's social and political climate, America is a divided country. One side claims that America has become too racist, sexist and hateful, while the other side says people have become too sensitive and politically correct. Right Or Racist will help us learn about one others & ourselves, engage in useful dialogue, and most importantly, to laugh. Right Or Racist is not for the faint of heart and will challenge both the politically incorrect and the politically correct.